Disco Music Strobe Light is now available on the AppStore for iPhone, iPad and iPod. The app shows on screen effects following the music rhythm, helping you enliven your parties. 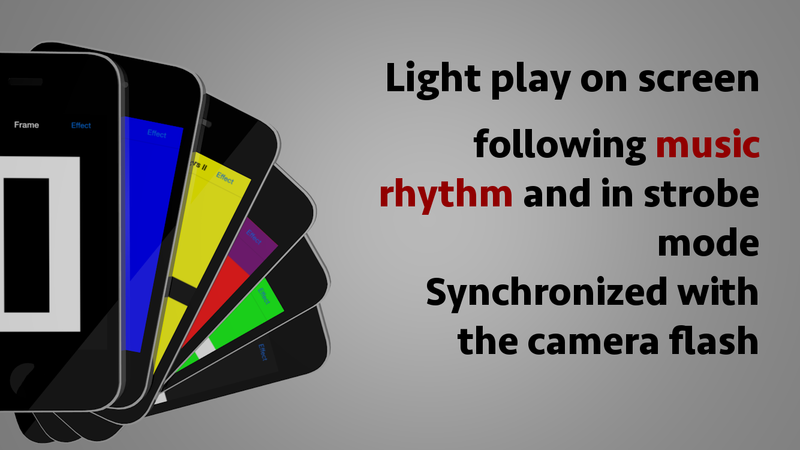 The app does not only show on screen effects, if you own a device which supports the camera flash it will turn it on and off following the song rhythm, synchronized with the on screen effects. The Music mode lets you calibrate the sensivity on your own or, if you prefer, you can enable the autocalibration mode which makes the app calibrate itself automatically in real time. If you want you can also enable the classic Strobe mode, which lets you increase or decrease the strobe speed. Disco Music Strobe Light is recommended for uses regarding music, but you can also use it as a normal flashlight or sos. You can download it for 1.99$ by clicking on the badge below.